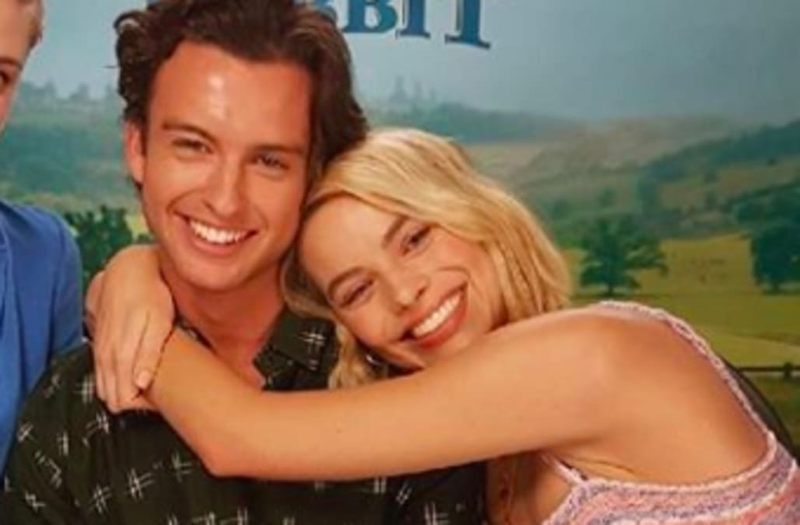 Margot Robbie's 22-year-old younger brother recently became a reporter for MTV Entertainment in Australia, and his latest stunt has totally put him on the map as the latest hot celebrity sibling worth getting to know. Cameron shocked his Oscar-nominated sibling during her recent press junket for "Peter Rabbit," during which he surprised his older sister by showing up to interview her. "Oh, my God!" Margot exclaimed with her jaw on the floor, to which her brother responded, "Excuse me, can you calm down? We're in an interview." The clip, which quickly went viral on social media, forced us to do some digging, and when we came across Cameron's swoon-worthy Instagram, we became instantly obsessed with rising star. While Vogue Paris deemed Cameron "Instagram's next star" and Elite Daily called him "hilarious" and "honestly the best." We happen to agree. Last fall, when Australia was voting on whether or not to make gay marriage legal, Cameron took to Instagram to urge his country to vote "yes." "This is no time to lose our heads, be kind and vote for equality," he wrote. "Voting no is hurtful and destructive - young Australians deserve a safer and more accepting community." Chest hair‘s longer, lazy eye’s stronger but all in all, it’s still a basic Cameron #ivymakesthebathroomclassierright? There’s nothing I could say that articulates how proud I am of this one #whatamoment #academyawardnominee! The only umbrella I need for Melbourne’s 1-in-100 year storm ☔️ #wasthatit? The smile says "FUN". The eyes say "help me-Im-drowning-in-the-toxic-relationship-with-my-bank-account"
In addition to not being afraid of voicing his opinion, Cameron also isn't afraid to make fun of himself. "The smile says 'We're all good in the hood' but the eyes say take the bloody credit card away before I buy any more plants, and books, and books about plant," he captioned one photo of himself. "She seems thirsty," he captioned another one of himself shirtless. "#nottheplantwateredityesterday"
And did we mention he's a total looker?! Cameron Robbie is extremely fit, as evidenced by his numerous shirtless Instagram photos that he's shared that flaunt his enviable six-pack abs and overall toned physique. No word on his relationship status, though!